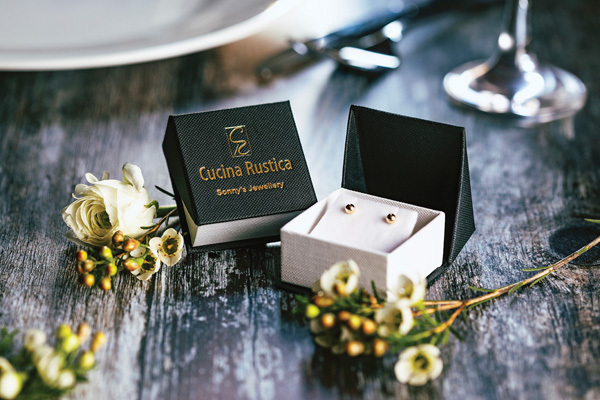 Birmingham’s family-favourite Italian restaurant, Cucina Rustica, is gifting the first 100 Mother’s Day bookings a pair of elegant 9 carat Italian gold stud earrings. Cucina Rustica offers modern Italian dining and is particularly popular for its fresh seafood specials. Located in the Jewellery Quarter by the picturesque St Pauls Church, the view from Cucina Rustica combined with its tasteful interiors and delicious food, make it a perfect place for the Mums of Birmingham to take an afternoon or evening off. This Mother’s Day, though, the restaurant will be serving up more than just beautifully wholesome Italian cuisine. There will also be a little Italian sparkle on tables in the form of a pair of gold earrings for the first 100 mothers at each booking. The classic stud earrings, made with 9 carat Italian gold, that the restaurant is gifting have also been sourced from an independent jeweller in the historic Jewellery Quarter. “In Italy, family forms a huge part of the culture, as does food. Mothers are shown a lot of love and respect every day, but particularly on ‘Festa Della Mamma’ – Mother’s Day. At Cucina Rustica, we wanted to show our appreciation of Birmingham’s amazing mothers by gifting them with a little more than great service and delicious food. We think a pair of stunning, Italian gold earrings add a fitting touch to an Italian Mother’s Day meal with us. It’s just the thing to make your Mum feel extra pampered on this special day.” Owner, Roni Ferro. On the day, the restaurant will be serving their usual Main Menu, full of Italian culinary delights. Dietary requirements can be catered for, just let them know at the time of booking and when you place your food order.